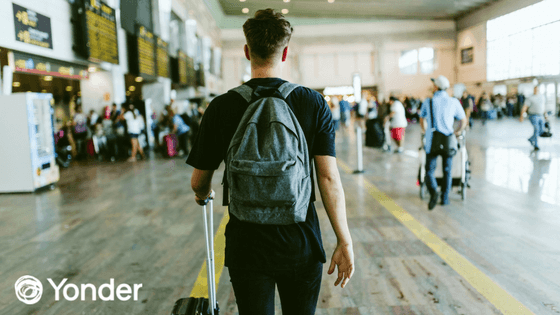 Whether you’re a first-time traveler or a major cosmopolitan, it’s always helpful to have a detailed understanding of what you need before heading to the airport. And, depending on the destination, you may need to make some changes. Packing for a trip to Alaska, for example, is different from packing for a trip to Thailand. However, luckily for you, they follow the same basic pattern. And that is why we came up with a general guide to help you pack and plan your next trip like a pro. This one’s a major point. Wherever you’re headed, having a durable, lightweight and flexible suitcase is essential. The most important feature to look for when making this decision is that the luggage has a warranty. Rolling Luggage: Luggage with wheels is obviously great to prevent any possible back injuries. It’s also convenient and easy to use. If you’re traveling in a city with sidewalks, this is your go to. Duffel Bag: You look pretty stylish with a duffle bag slung over your shoulder. There are many simple and light duffle bags that offer a lot of space and durability for your belongings. Travel Backpack: You’re going to want a backpack for your more rustic traveling. Known as the classic choice of backpackers the world over, backpacks offer durability, mobility, and convenience. Carry-On: Unless you have to pay extra for it, taking a carry-on with you can get you far. Your main luggage may not be enough, especially when going on trips longer than two weeks. Having a carry-on offers more space for last-minute things, items that don’t fit in your luggage, and can be used for extra storage in case your main suitcase is overweight. If you’re wondering what would qualify as a carry-on with your airline, check out our list of TSA approved carry-ons! If you’re planning on specific activities like hiking or swimming, make sure that you pack and organize with these in mind. Keeping your suitcase neat is critical in ensuring you can fit everything in with no issues. If you find that you don’t have space for everything, try compressing your clothes. With compression, you can reduce the volume of your clothes (by eighty percent! ), and keep them neatly folded. Remember, pack smart and not too much. You can always wear the same outfit twice (it’s really not a big deal, we promise). Depending on your destination, sunscreen and mosquito repellant may be useful. If you’re not checking in your carry-on or keeping your toiletries with you, make sure they are TSA-approved, and light. You don’t want to be carrying a large bottle of mouthwash when you could use that space and weight for other essentials. Make sure you’re fully equipped in case you have a headache or a random stomach ache on your trip. Copies of important documents in case you lose them. There you have it! The essentials for your adventure. Traveling can be super exciting, but losing your passport or forgetting it at home will ruin your trip. Make sure to take extra precautions before leaving to the airport to confirm that you have taken everything you need. Don’t forget to browse our extensive array of travel insurance for every type of traveler. Whether you’re going on an adventure or taking a relaxing jaunt, we have you covered.